A few photo's detailing my pin wheel mechanism. The first shots are my attempt at a pinwheel but I could never centre the pin wheel correctly. I found out that this was due to an error I made in Illustrator when making the template in that I had not aligned everything centrally and the pins never meshed. 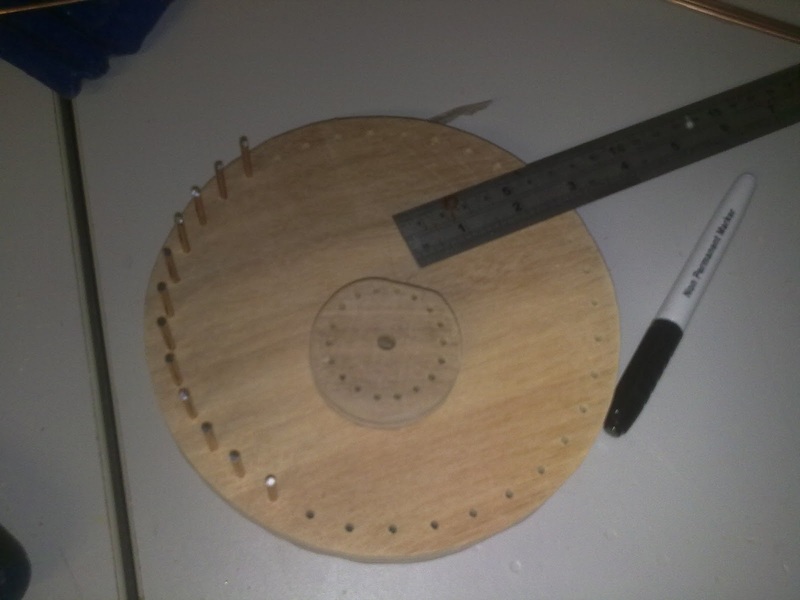 The next shots show the pin wheels and they mesh together fine. 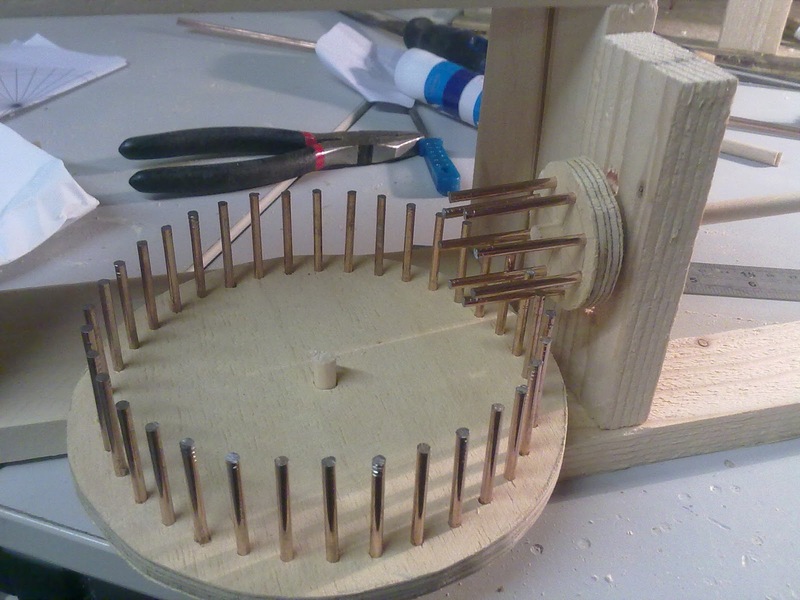 I need to find a way to stabilise the large pin wheel as it is wobbling as it spins. 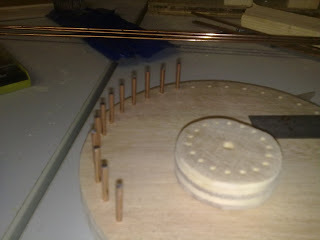 I also might trim down the pins on the main driving pin (the smaller pin) as they are not needed at this length, although they don't impede the movement. 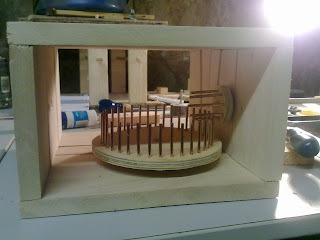 I'll start working on the door mechanism tonight. I have a feeling it will cause me problems as I have not attempted one before. The poem is a bit rubbish. You live and learn. 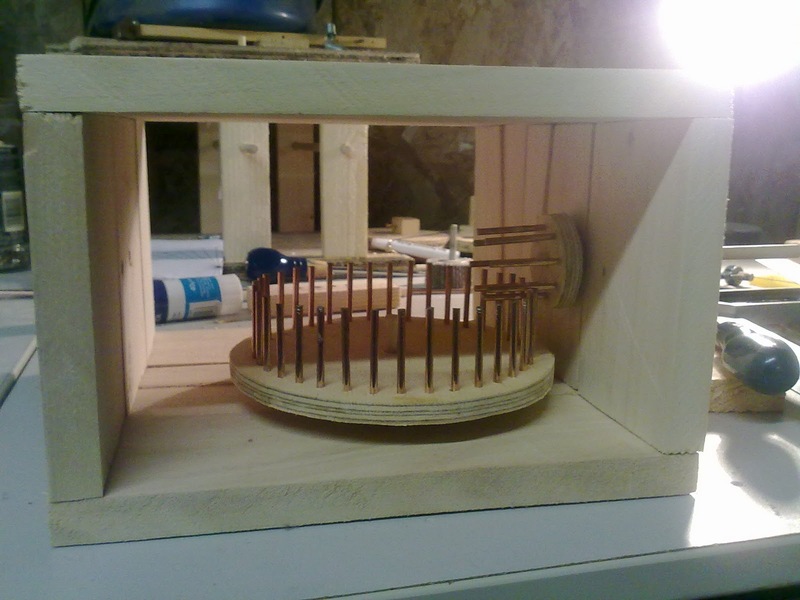 At this stage in my model making (a couple of years ago now) this model had been my most advanced. Looking back, it's nice to see how much I've progressed.